It’s like Chicken Little. The sky is supposed to be falling upon the Los Angeles Lakers. No one gave them a shot to win against Oklahoma City, no one believes they have a chance against James Harden and the Houston Rockets, and many think they would have no shot of making the playoffs without LeBron James. While that last part might ultimately be the case, they still pulled off quite a nice win on Thursday night to illustrate that they aren’t as useless as some might think. It took overtime, an unnecessary one at that, but in the end it was fairly comfortable as they won in OKC by a score of 138-128. 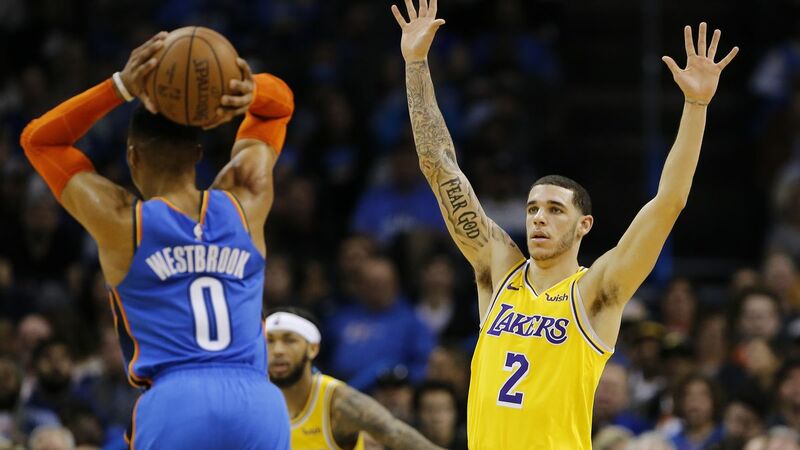 The reason they went into overtime was an interesting one because it saw Lonzo Ball attempt to foul Russell Westbrook before he could put up a potential game-tying three-pointer. However, Ball hesitated and fouled him, sending him to the line for three free throws. Which, of course, he made. But that didn’t put much of a damper on the Lakers as they took it to OT and handled their business. Kyle Kuzma led all scorers on the night with an impressive 32 points as he continues to step up in the absence of LeBron and show a potential to be the next big superstar. Paul George led the Thunder with 27 points on the night, but it wasn’t enough to beat his hometown team. While we still don’t know the ultimate destinations of Manny Machado and Bryce Harper and might not for a few more weeks now, there is still plenty going on in the world of Major League Baseball. The New York Yankees have been making moves this offseason by shoring up their bullpen. By all accounts, it looks like they are splashing the cash there in the hopes of doing more ‘bullpen’ games, which means using an ‘opener.’ The latest signing is Adam Ottavino, formerly of the Colorado Rockies. The man dubbed as someone who could strike out Babe Ruth himself is a hard-throwing righty that relies on striking out hitters and became one of the best set up men in baseball last season. It’s a new day, with the Yankees spending money on relief, but it’s not all that new seeing as how they are still more than willing to spend the cash. It’s just in a different place. Across the city, the New York Mets made an announcement that Tim Tebow will be taking part in spring training with the big league club this year. Tebow had a successful 2017 before picking up a hand injury in the minors, and he is inching closer to what would be a really captivating MLB debut. And finally, down in Australia at the Australian Open, the inaugural Grand Slam of the tennis year, Maria Sharapova pulled off what is considered a big upset by defeating defending champion Caroline Wozniacki on Friday. Sharapova won 6-4, 4-6, 6-3 and advances despite having played very little tennis recently and being just the 30th seed in the tournament. She last won down under all the way back in 2008, so that is pretty telling about how special this is.